"There is a time for everything, and a season for every activity under heaven," Ecclesiastes 3:1. With the days growing longer and gardening season growing closer, now is the time to plan for healthy garden soil. 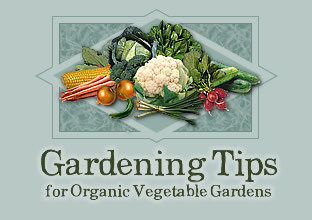 Most gardeners are familiar with plants' needs for nitrogen, phosphorus, and potassium. Pick up any package of fertilizer and the amounts will be printed; on the front, such a 10-10-10. There are, however, other less familiar though equally important nutrients necessary for healthy plant growth which may be in short supply in our soils. Calcium is typically deficient in our area, due in part to plentiful rainfall. Besides playing a major role in improving soil structure, calcium helps regulate the flow of nutrients throughout the plant. A lack of calcium can cause blossom end rot in tomatoes, while an abundance helps vine-ripened tomatoes become huge. Good sources of calcium include calcitic limestone, which also corrects soil with a low pH; bone meal, which also contains phosphorus; and pellitized gypsum, which helps loosen heavy clay soil. Plants need sulfur to form proteins, and nitrogen can't do its job without sulfur. Good sources of sulfur include peletized gypsum, animal manures and sul-po-mag, which also contains potassium and magnesium. Trace mineral are also known as micro-nutrients because they are used by the plant in very small amounts. Despite the small amounts needed, deficiencies of these elements can cause big problems in plant health. Some of these mineral are zinc, iron, manganese, copper, boron and molybdenum. Lack of boron can cause a plant to suddenly stop growing. Manganese is necessary for photosynthesis. Copper is very important in the reproduction process and affects the yield. Good sources of trace elements are manures, green sand and kelp extracts. Many of the fertilizers mentioned above are available locally at garden centers and health food stores. Soil fertility can be very complex. The best way to check your soil's health is to have it tested and the results properly interpreted. Your local extension office or a private lab can provide this service.